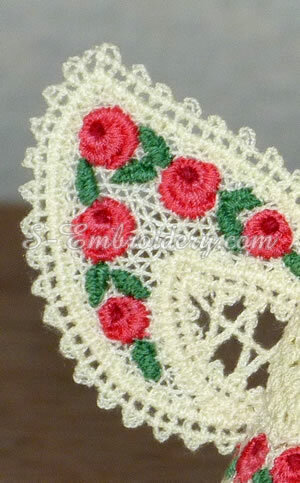 A Battenberg lace Christmas angel machine embroidery design. 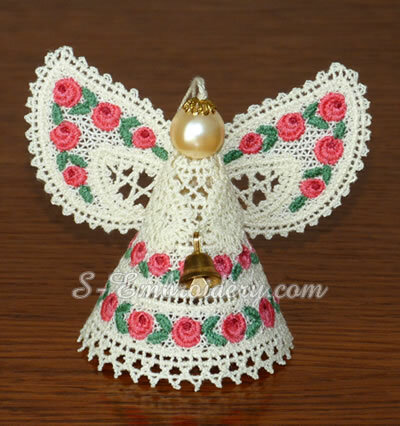 With this design you will create a nice ornament for your Christmas tree. The design is put together from 2 parts. 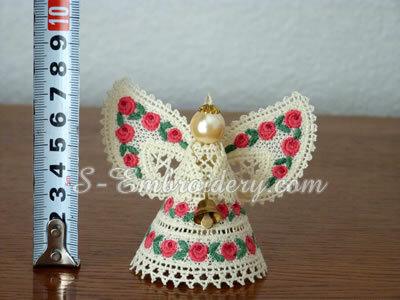 The size of the ready ornament would be approximately 2.5 inches/6.5 cm (measured at the head). 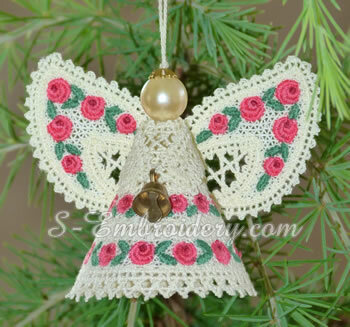 The design comes with instructions on how to create your angle Christmas tree ornament. You receive 2 machine embroidery files in one of the supported formats and 2 PDF files with design information and instructions.